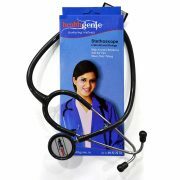 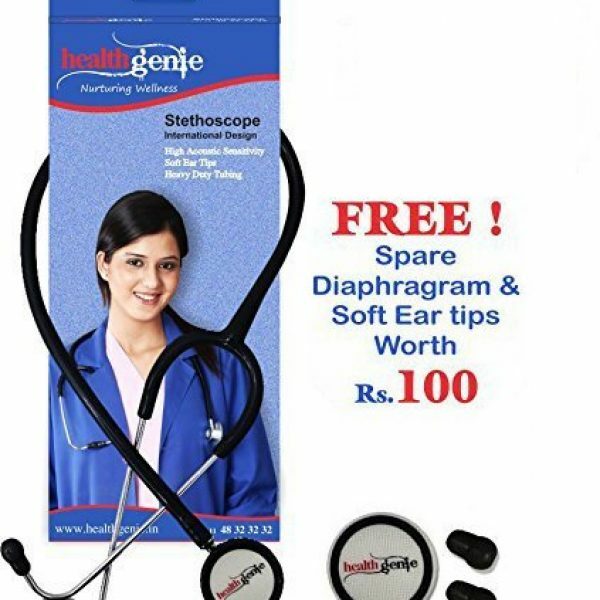 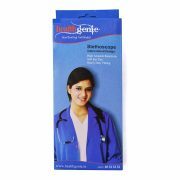 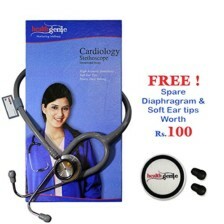 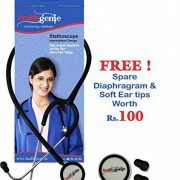 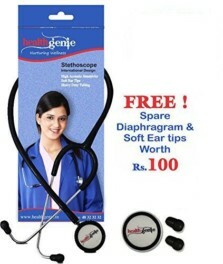 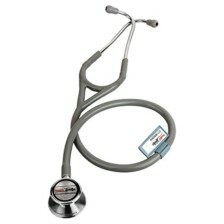 Healthgenie Dual Aluminum Non Chill Stethoscope HG-201B (Black) has soft ear knobs which makes sure you do not strain your ears or foster any other kind of problem inspite of using it consistently, designed for adults.This Dual Head Stethoscope comes with aluminium chest piece with exclusive diaphragm that offers the convenience of listening to the heart, lungs, intestines and various other internal sounds accurately.It has a brass chrome plated open spring frame. 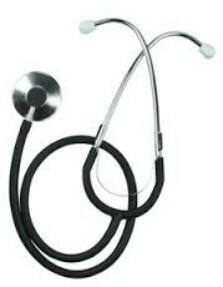 those suffering from high and low blood Pressure are often recommended to check thier blood pressure on a daily basis to keep a tab on the same. 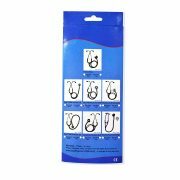 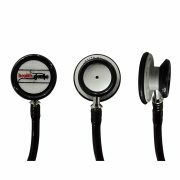 This is because checking the blood pressure requires following the pulse cautiously which can be done easily this dual head stethoscope. 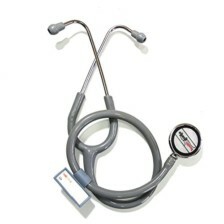 The device also allows easy portability as it is compact and light weight.